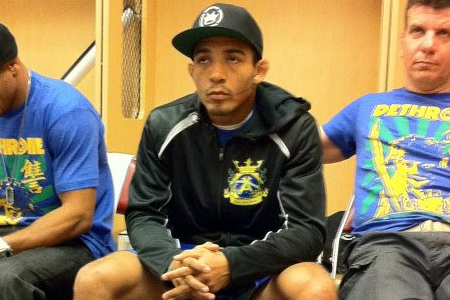 “UFC 142: Aldo vs. Mendes” takes place this Saturday and features a featherweight title tilt between champion Jose Aldo and Chad Mendes. To help hype the 145-pound scrap, FUEL TV will premiere “Countdown to UFC 142” tonight at 9PM ET/PT. The documentary focuses on Aldo and Mendes as they prepare for battle. Vitor Belfort and Anthony Johnson, the card’s co-main event, will also provide behind-the-scenes footage as they get ready for their middleweight shootout. For the first time in the network’s history, FX will air several UFC preliminary bouts.